Save on a new Acura in Eugene, OR with one of these new car specials. Kendall Acura offers a wide variety of new car deals for those wanting to save on a future purchase of a new Acura or SUV. Our specials are constantly changing, so be sure to check back often to find one that works for you. For even more savings, check out our featured new Acura inventory with competitive prices. When you find the new Acura deal in which you are interested, contact our friendly and knowledgeable sales team online or in person at 846 Goodpasture Island Road Eugene, OR 97401. Our Acura car lot is a short drive from the areas of Sweet Home, Lebanon, and Florence. It is our goal to bring you fine quality vehicles and unparalleled customer service. We strive to make every experience a good one that you will tell your friends about. If at any point you have any questions, please don’t hesitate to contact us online, over the phone, or in person. You can also request more information about your new Acura special, share it with friends and family, or print it out and bring it with you when you visit our dealership. You can also visit our Acura Finance Department and evaluate your budget with several of our online tools, like our convenient auto loan calculator. Punch in the Kendall Price of your new Acura special and see what kind of future payment you might have. Then take a few minutes today and apply for a Eugene auto loan for your affordable new car deal using our online finance application. Have a trade-in? Perfect! We’ll purchase your used car and give you nothing but a fair trade-in value in return. Fill out our trade-in value form and you will receive the true market value of your current vehicle plus the opportunity for a no-obligation car appraisal. With Acura you get a vehicle designed with innovation and sculpted to perfection. With Kendall Acura, you get a dealership that brings you savings through new car deals and Acura lease deals. 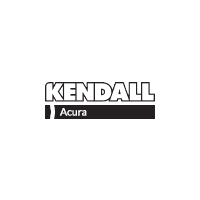 Thank you for taking the time to visit Kendall Acura and for browsing our new Acura specials. We hope you check back with us often and that you come visit our Acura dealership soon!